Wiremu Haunui, shown here in his translation booth in the Beehive, was the Māori translator for the New Zealand Parliament in 2011. 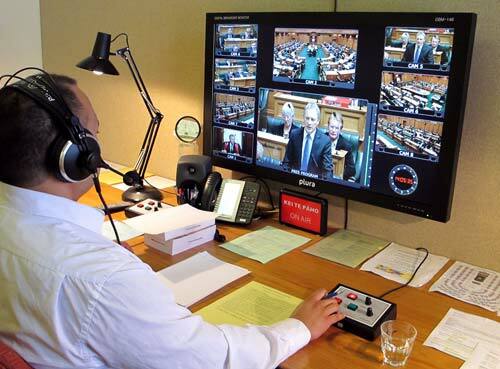 Since 2010, whenever te reo Māori was spoken in Parliament, Haunui has supplied a simultaneous English interpretation. This could be received through audio earpieces in the public gallery, or on a dedicated channel of the live Parliamentary television broadcast.